The true story of how the author of beloved children's books found inspiration and spiritual regeneration in a pet dog she took in after suffering a horrendous marriage and divorce. The dog, Ivy, a lab-chow mix, not only inspired her new mistress to write fiction, she wound up as the star of the Ivy Mystery Series. Karen Petit is the creator of the Shandon's Ivy League Mystery Series, which follows the adventures of a group of pets who solve crimes and mysteries. A North Carolina native, Miss Petit grew up in Greenwood, S.C., and earned a bachelor's degree in journalism from the University of South Carolina. She now lives in Columbia. 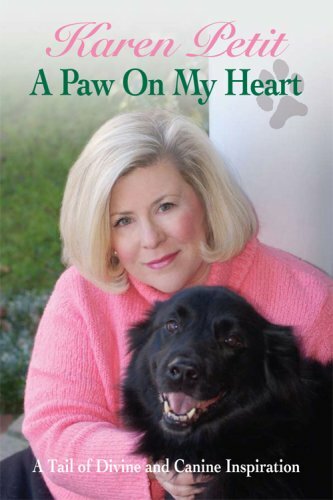 A Paw On My Heart is her first non-fiction book.